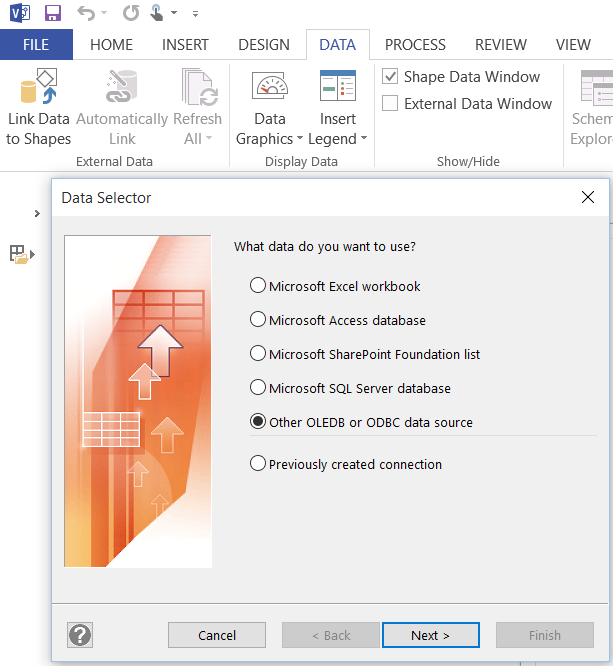 First, I created an Access Web Application in my Office365 site, based on the OrgData.xls workbook that is installed with Visio. 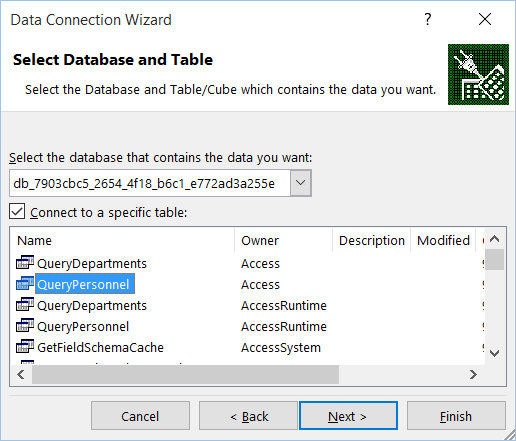 I created three tables from the workbook, and then created an Access query to add in a little more features. I was an early convert to Microsoft Access, and bought version1.1 with my own money, years before I started using Visio. 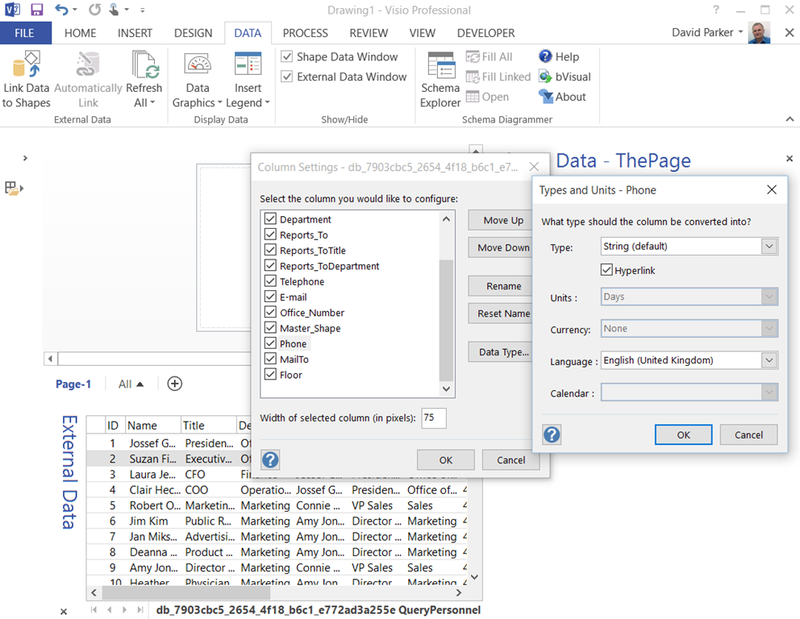 So I am very used to creating interesting useful queries such as this one which creates calculated columns which will be used in Visio later. The info backstage screen enables me to view the read-only connection information. 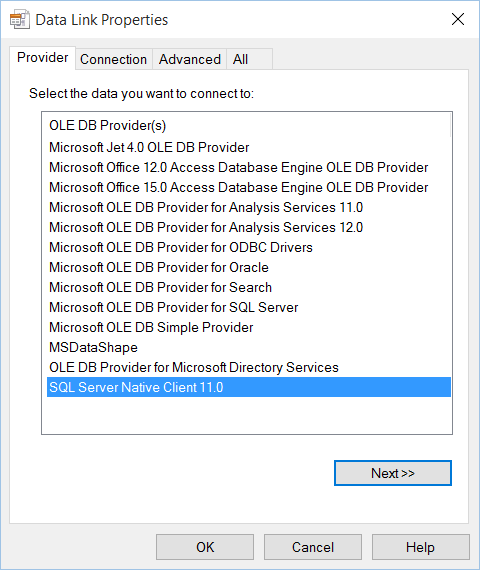 So, I copied these SQL Server Connection Information values for use later…. 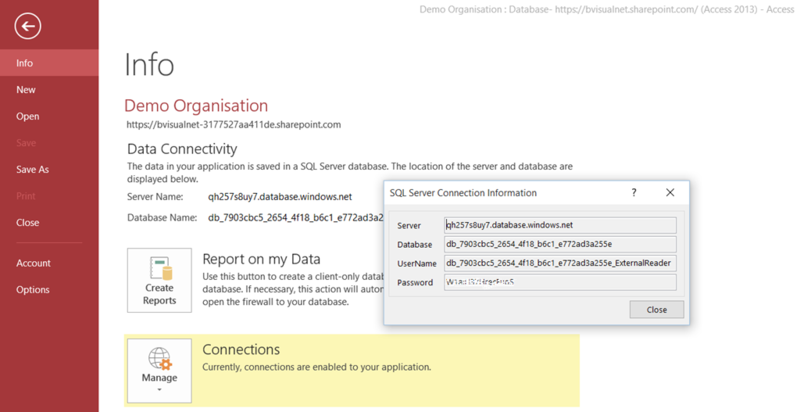 Next, I used the Create Reports button to create a new desktop Access database. 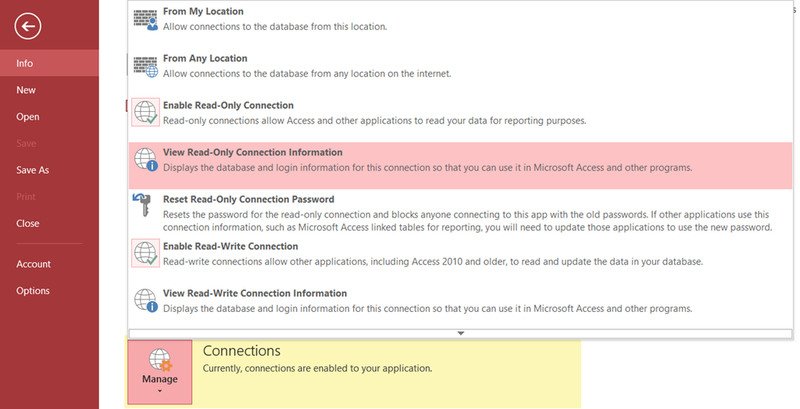 Although this is not strictly necessary for just linking to Visio, it automatically opens up the firewall on my desktop PC. 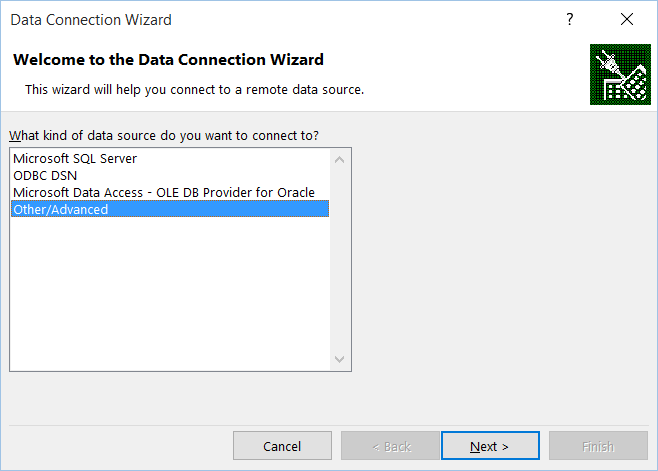 This is essential for using the SQL Server connection information, and anyway, I get a reporting database to play with too! 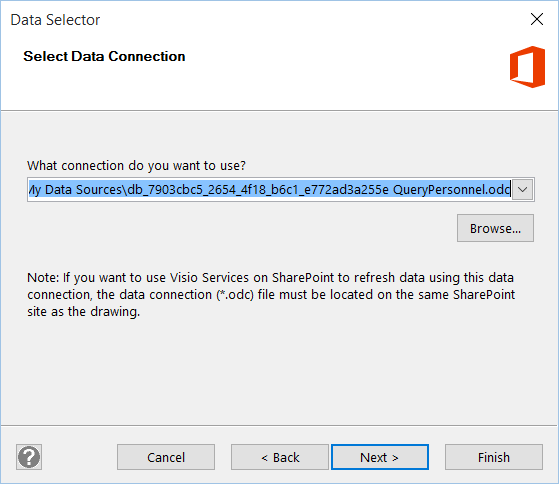 Now I can use the Link Data to Shapes button in Visio. 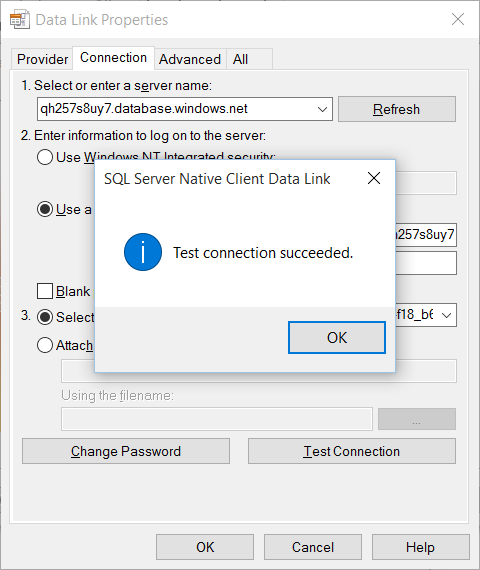 I then entered the SQL Server information that I copied earlier… but I added @<first part of server name> to the end of the User name (after ExternalReader) as in the video. 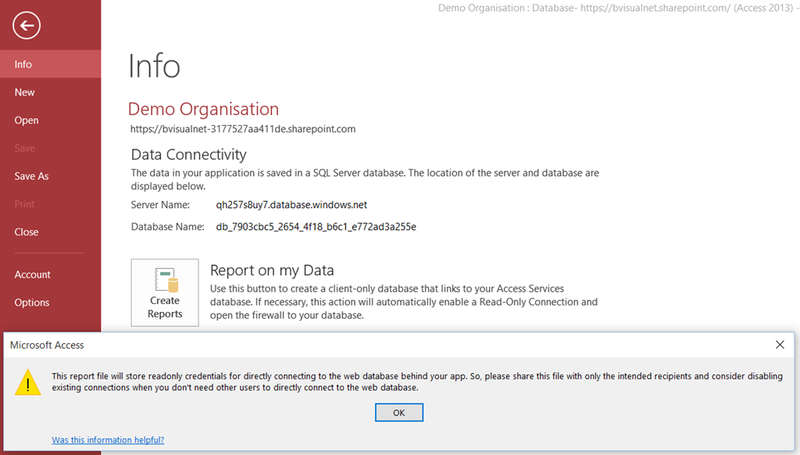 I then selected my query to link to… (note that you should only need to link to those owned by Access). 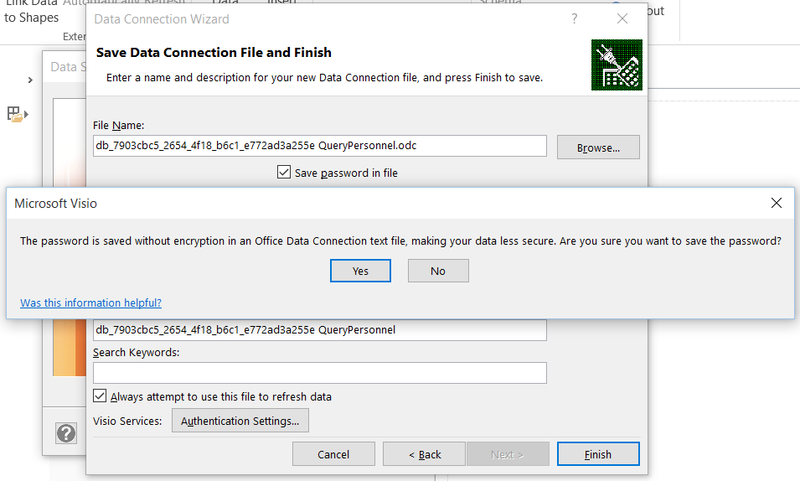 I ticked Save password in file …. 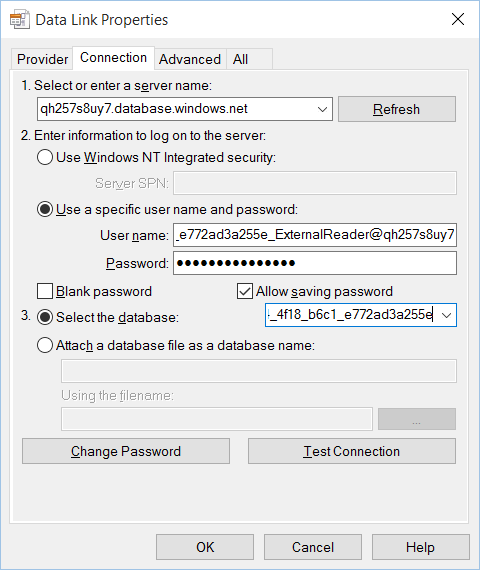 This is then saved into an ODC file, which can only be used on this particular desktop PC because of the firewall. I noticed that the Phone and MailTo columns were not automatically interpreted as Hyperlink types, so I corrected that. 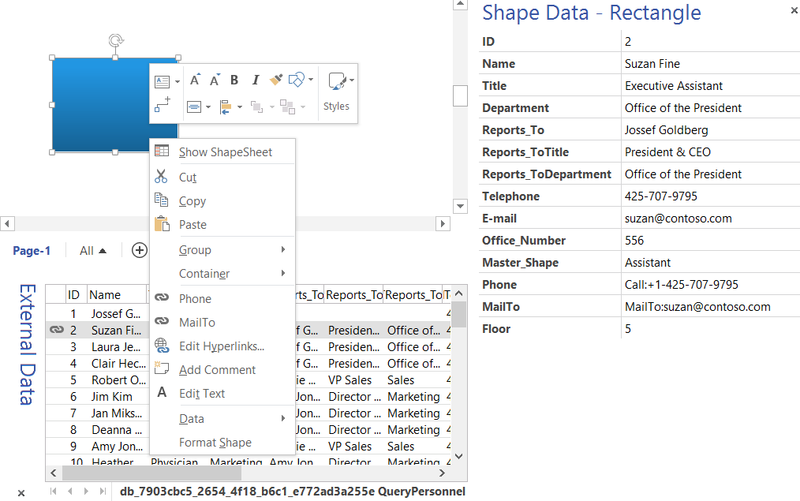 Then I had my data linking to my shapes in Visio! « Limited time offer to buy my book half-price!